Democrat Donkey Spinner | BUDK.com - Knives & Swords At The Lowest Prices! Let folks know which party you support! This patriotic yard spinner features the Democratic Party’s Donkey mascot. 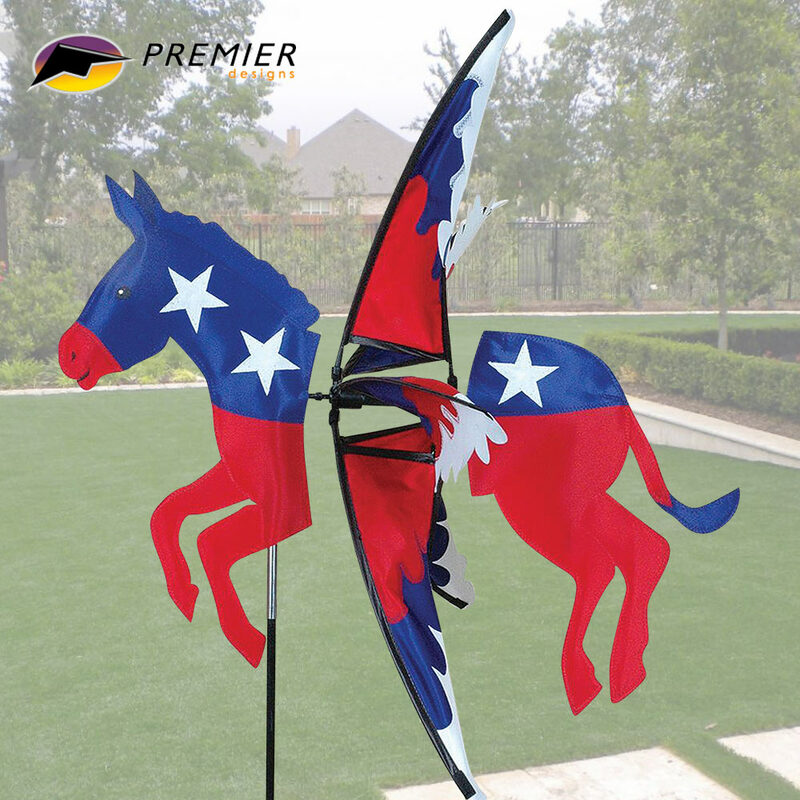 Premier’s spinners capture all the fun of this traditional American wind decoration. Constructed of durable SunTex fabric, it will spin even in lower breezes. It is easy to assemble and has a noticeable size of 26” x 27”x 27”. Liven up any yard or garden with this red, white and blue spinner.